Lowry, L. (1993). The giver. New York, NY: Houghton Mifflin. 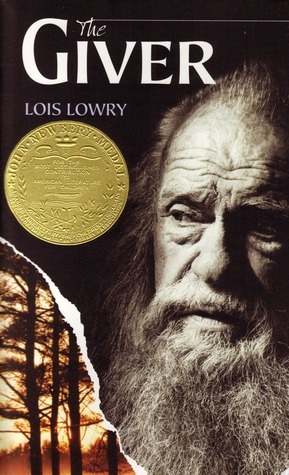 The Giver by Lois Lowry and The Hunger Games by Suzanne Collins are read frequently by tweens and both by those younger than the intended audience. Dystopian novels present many concerning topics that I at one time strongly believed would have needed to be read with guidance but no longer believe that to be the case. Dystopian futures are often presented as science fiction, but often what was once science fiction as written in book or films has become more realistic through the advancements of technology. I don’t think when the movie Invaders from Mars was produced or War of the Worlds was written did we realistically foresee a man on the moon or space expeditions to Mars. A dysfunctional society may seem less comprehensible for many readers a quarter of a century ago in Western nations, but concerns as hunger, oppression, genocide, and warfare are no stranger in the past and present in nations in the Middle-East and in Africa and even more recently in the United States. I will admit that at first I was concerned with the idea of tweens reading dystopian future novels due to age or assumed maturity level. When I was a tween I was slowly introduced to more sensitive topics but my maturity was not as advanced due my ignorance of minimal worldly sufferings. Reading up for classroom literature materials or for high interest isn’t uncommon, and it’s challenging to deny a younger reader a high interest book, particularly a novel that has already been made into a major motion picture such as The Hunger Games. Tweens are usually interested in books with the protagonist similar to their age. Katniss in The Hunger Games is 16 (two years older than a tween) and Jonas in The Giver is 11 (in the middle of the tween age group but with responsibilities similar to an adult). Also, reading for pleasure should not be less valued. A tween may rather read The Hunger Games for pleasure and reread it again when older as opposed to reading it as class curriculum. A tween book club (tweens only) may serve as a great resource for those to share and gather understanding from their peers without the pressure from adult expectations. Since The Giver is usually used in the classroom beginning in 4th and 5th grades, it easily presents the idea of one potential dystopian future to early tweens in a cognitively and emotionally safe manner so as not to overburden the age group with ideas of too much suffering as is more apparent in The Hunger Games. The Hunger Games may be best suited for tweens in the older tween ages so they may understand more of the allegorical meanings due to politics such as the actual games, food, the thirteen districts, dandelions, the mockingjay pin, and tracker jackers. Regardless whether a tween may fully understand all the allegorical meanings does not take away from the fact that still enjoyed the overall story. Jonas in The Giver, is a younger protagonist than Katniss, and his limited knowledge and innocence is accurately represented by his commenting that others not seeing color is not fair or having no choice is safer. As he receives memories he questions his own existence in this dystopian future guised as a utopia of “sameness”. Katniss also questions her own life and if anything ever can be changed in regards to the cruelty the citizens are subjected to from their totalitarian government, Panem. The protagonists in The Giver and The Hunger Games share similar desires such as freedom of choice, life without pain, they express hunger (for food or otherwise), and mostly they want to live. These similarities in desires are born out of similar yet different predicaments that gives both of these novels value to tween readers. 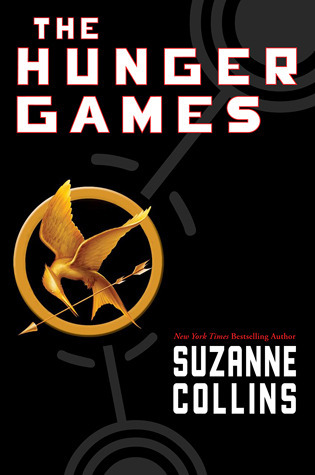 Some may say that the first book in The Hunger Games trilogy is incredibly violent, yet the descriptions are no more detailed or gruesome than the sharing of the memories from the Giver to the Receiver of Memories, Jonas, such as starvation, warfare, thirst, unkindness, and death as in the instance of the memory of the dying boy or the elephant killed for its tusks in The Giver. These shared memories may be equally disturbing to read as in The Hunger Games when Katniss and her sister’s bodies wither from hunger while their mother sinks further into depression after their father’s death, and the Avox girl’s punishment after fleeing the capital. Many similar character traits are seen as well between Jonas in The Giver and Katniss in The Hunger Games. Jonas is a good son, a good student, and a valuable member of the community. Katniss’ has value for the community as well. If she wins the Hunger Games, her district will know no hunger for the following year. Katniss loves her family, and found her way into the Hunger Games by volunteering in place of her sister, Prim, whose name was called at the reaping. Both struggle with what is right and wrong through their experiences as seen when Katniss chooses to kill Cato out of “mercy” from the mutant dogs and chooses to challenge the Gamemakers as she and Peeta both threaten to take their own lives leaving the games with no victor. Reading of Rue’s death and Katniss’ sorrows in The Hunger Games are comparable to the pain Jonas suffers in The Giver upon discovering the details of what it means to release a member from the community as he watches the fate of the smaller in size of the identical twin infants that is put to death. Jonas show his bravery fully aware that he would suffer when he asks for the Giver to transfer the painful memories to him to help relieve some of the Giver’s pain. He too struggles with right and wrong as he chooses to leave the community, aware that his actions with his years’ worth of received memories will be given to all those in the community upon his departure as the Giver explained how this occurred with the previous failed receiver of memories. Jonas’ choice can be considered one of mercy as well for the betterment of all. He also chooses prior to leaving to take Gabriel, the child his family had been nurturing when he is told that Gabriel is scheduled for release, and in a community where the concept of love is unknown, Jonas displays sacrifice and love brilliantly. The violence, deceit, suffering, death, and tragedy of all sorts I do not believe are age inappropriate for tweens. There are many books for the tween age category that present similar topics minus the dystopia aspect. For example, the Harry Potter books, especially books 4-7 are filled with violence, tragedy, loss, fear, death, children fighting children, a government gone wrong, as well as obvious distinctions between economic classes and magical status. Other books that tweens may enjoy that are set in dystopian futures and are specified as tween literature include, Among the Betrayed (Shadow Children #3) by Margaret Peterson Haddix, The City of Ember (Book of Ember #1) by Jeanne DuPrau, and The Unwanteds (The Unwanteds #1) by Lisa McMann. The popularity of these dystopian novels and the cause for many younger readers reading up due to high interest may be because our youth is more easily able to identify with them since dystopian futures that may have once been deemed as incomprehensible are becoming an ever growing fear in our daily reality. I believe that the 9/11 attacks has been quit detrimental in many aspects but I would like to point out that racial discrimination, hate crimes, and intolerance has rapidly increased in the last decade. Some may refer to this as the “era of oversharing” but this is also an era of fear where the youth of the United States are no longer living sheltered lives filled with rainbows, unicorns, and happy ever after endings. I find it interesting to see a rise in dystopian literature once again where there’s a lot of misery and suffering and even more frequent and devastating natural disasters due to climate change. Dystopian literature has its place. It can teach us what has gone wrong or may go wrong. Being able to have such insight beginning with the tween ages and the readers even questioning their own moral codes may impact the current generation enough that the impending doom of a dystopian future or rather our fear of this realistic possibility may minimize. Very awesome post! I definitely agree with all your points. At first I was debating between whether The Hunger Games series was appropriate for fourth and fifth graders and after careful thought, I realized that this series should be acceptable for tween readers. I was very relieved to read your post agreeing with my opinion. It is hard to say “no” to a child about reading a certain book, especially for those who do not avidly read leisurely. I have tried to make a point in my post that there are many books that are acceptable in school curricula that contain similar aspects and graphic material like those in the Hunger Games. These books cover so many different concepts and we can all learn so much these tyrannical societies in order to help prevent futures described in these books. Having educators introduce these types of concepts early, can help prepare students for books such as The Diary of Anne Frank and 1984. With this being said, I believe that The Hunger Games series can be considered tween literature. I too am glad you agree. I wasn’t sure if I was being too bold by saying “yes”. The Diary of Anne Frank gave me bad dreams the first time I read it, but I think knowing it was nonfiction had more of an emotional impact than similar topics in fiction. Even since I was a young child I’ve always been unable to distinguish fiction from reality. As for 1984, I so love that book. I got a 1984 bookmark with the quote “You don’t have to burn books to destroy a culture. Just get people to stop reading them” I cut it up, laminated it, and have kept it in my wallet for over 10 years. I remember reading The Giver in the fifth grade and I really don’t think I fully grasped everything. I enjoyed reading it a second time . I am now older than the suggested age range but I do think that the fifth grade is a little too young. Sure they can read all the words, that’s not the problem, but there is a lot going on emotional that I feel they are not ready for . They need another year or two. It’s interesting that you brought up 9/11, I think you make a good point. I was a freshmen in high school when it happened so I am sure it effected me a little different then those even younger then me. Maybe this has prepared them better then I was for The Giver and books like it. But at the same time I feel like some kids are too eager to grow up and that adults should help slow them down and help them enjoy their childhood. This is directed particularly to The Hunger Games which I felt was graphic throughout the book as apposed to a few parts. This book is kids killing kids and they make a sport out of it. Don’t get me wrong I enjoyed reading it but I feel that the content is for 14 and older because it is a disturbing. I have noticed the increase in dystopian novels. I have to admit that I have always been a bit of a fan. However it is important that they are spread out a bit in between some happier fiction so things don’t get too depressing. I agree that there is a lot that may not be understood. The Giver often leaves the reader curious for more. The ending of the novel, I feel is reminiscent in style to a Hitchcock film. I enjoy being able to reread books and always find some new details I missed previously (my favorite reread is Frankenstein). I agree that The Hunger Games has many disturbing parts, but I was glad that approximately half of the tributes weren’t eager to participate, and even found it interesting how some adults within the capital had wavering opinions of the games. I think the popularity of book genres come and go in waves as they fit our external environment as perceived by our youth. Also, I think 9/11 affected most of us. I was already in my mid-twenties, so my opinion of the attacks were based off of more reason and logic unlike the innocent mind of a child. I wonder if the next generation will primarily prefer fantasy, or even sci-fi depending on how far we’ve advanced with technology. I would love to keep as much as possible in the lives of our children to be “happy” but I don’t believe that reflects reality. I would be concerned if a students read only dystopian literature. While I agree that certain tweens don’t need to have someone reading with them I still think that adult guidance has its benefits to young impressionable tweens. Adults can offer an opportunity to discuss certain themes found in these novels such as death, violence, murder and other dark topics. As a huge fan of The Hunger Games I think that today’s dystopian novels offer young readers strong characters who demonstrate how to handle difficult situations. Both titles have had is criticism on the themes and have been censored from some readers while I think that a better solution would be to locate books that are written with strong protagonist and excellent content. I like your idea of locating books with strong protagonists so readers can see how they handled difficult situations. Fiction with elements of realism can offer readers so much insight. I think I would have a hard time trying to determine what determines excellent content. I’m sure each of us will bias a particular author and/or genre. I agree with you that dystopian topics aren’t inappropriate for tweens in and of themselves. Exposure to these concepts broadens their view of the world (if not what currently is, then what could someday be) and of human nature. It also helps expand their imaginations. I would argue, however (and I discuss this a bit in my own post) that the ways in which these topics are portrayed is the ultimate determinant of appropriateness. The painful memories that Jonas witnesses in The Giver are filtered through the mind of the Giver and those that came before him. As painful as the memories are, they are just that: memories. They are removed from him and are therefore less harsh than the violence Katniss and the other tributes endure in The Hunger Games, which are lived first-hand. In my opinion, this makes them more graphic and therefore less appropriate for tweens than for teens. Another example of how The Giver is more filtered than The Hunger Games is that of the language used for certain things. For instance, when someone commits a grave error or an infant is deemed unworthy or incapable of joining the community, he or she is “released.” Of course, we come to find out that this means they’re euthanized, but this is through inference rather than blunt statement of fact. Not only does this allow young readers to ease into such issues, but it also helps them to develop the literacy skills needed to work out exactly what is happening in the story.